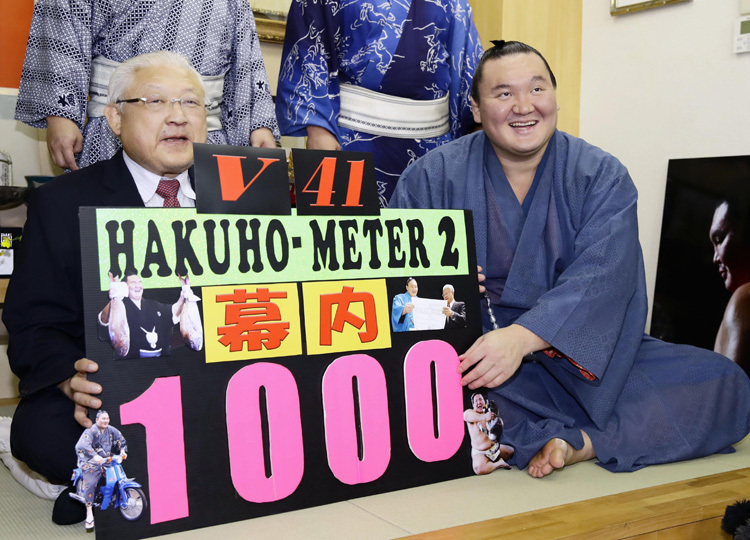 A day after securing his record-extending 41st championship, Mongolian yokozuna Hakuho closed the Autumn Grand Sumo Tournament with a perfect 15-0 record on Sept. 23. The victory was his first since his father, Mongolian sumo grand champion Jigjid Munkhbat, passed away at the age of 76 in April. In the day’s finalbout, the two wrestlers at sumo’s highest rank held each other’s belts with both hands. Kakuryu first charged Hakuho toward the edge, but Hakuho survived the scare, turned around and pushed him out of the ring.